What flavour of electric does it need? How long will it run on a certain battery? What affects the power consumption of the Solo? What about a calendar mode if I don’t want 24/7 recording (to save power)? What about things like the Witty-Pi? Powering the Solo requires a standard USB powering cable supplying 5 Volts at around 2 Watts. It connects via the well-known micro-USB connector - the same that is used to charge mobile phones and tablets. The power can come from the mains, USB battery bank, solar, excercise bike, nuclear power station. The Solo doesn’t care. The supply should be capable of providing a peak of 2A (@5V) but the Solo consumes much less than that when in normal operation. USB battery banks are the simplest way to get going. Using a lead-acid battery via a “cigarette lighter - USB” converter is also quite easy - the only tricky bit is getting cables to attach to the large battery terminals reliably. The Solo:basic consumes 0.35W (71mA @ 5V) in normal operation. This is the number to assume when you try to calculate how long your battery will last. However, at some points in its operation (notably, at startup), it needs much more, so when choosing a power supply, you should ensure it can supply about 700mA (about 3.5W). The USB battery bank recommended for the Solo:basic costs £20 and lasts 5.5 days. However we’ve also this year (2016) used bog-standard car batteries which last about 40 days. As long as you ensure the voltage is correct (5V) and take care with connectors, then there is a wide choice of how to power the Solo. If you don’t know what you are doing - use a USB battery bank. They are easy to connect, easy to charge, light to carry, safe and cheap. We have used the EC technology 22400mAh powerbank very widely (in 2015) with great success. It’s on the components list of the getting started guide. The Solo:basic runs for 5.5 days on this battery bank. In 2016 we have used 12kg vehicle batteries. These have run the Solo for 40 days on average. They require DC-DC converters, clamps to attach to the battery terminals, and they live outside the Solo’s waterproof enclosure, so require independent waterproofing (such as a bin bag). The difference between 5.5 days (with USB battery bank) and 40 days has dramatically changed how we undertake the field studies. If you aren’t happy with 40 days, you could buy a bigger lead-acid battery. Note that it’s probably bad to drain car batteries in the way that we did with these DC-DC converters, and we will have to see how well they recharge. We probably ought to be buying deep-cycle batteries. 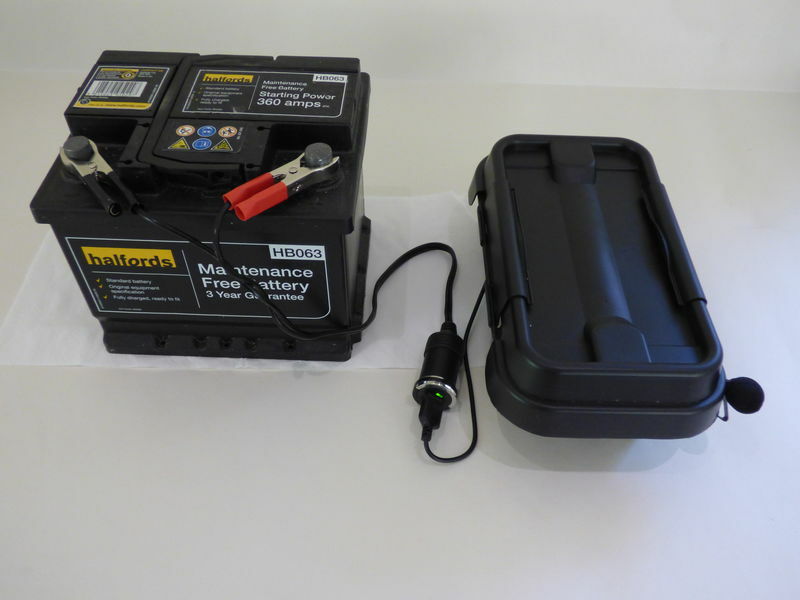 The simplest way to convert the 12V of a lead-acid battery down to the 5V needed for the Solo is to use an in-car cigarette lighter converter, and a cheap connecter with 2 crocodile clips (see first image above). However during tests we found that the ones we tested were wasteful and inefficient. Instead, we ended up using the converters shown in the other images, which are intended for behind-the-dashboard use in vehicles, and are therefore robust and strong. They gave much better efficiency in performing the conversion from 12V->5V (but were far from perfect). The hunt for the perfect DC-DC converter is on - suggestions welcome. I’ll try to get some numbers published here about efficiencies of converters in practice. NOTE: the converters didn’t have reverse-polarity protection, so if you connected the croc clips to the battery the wrong way around (or if you got the cables muddled) you’d blow the DC-DC converter permanently. 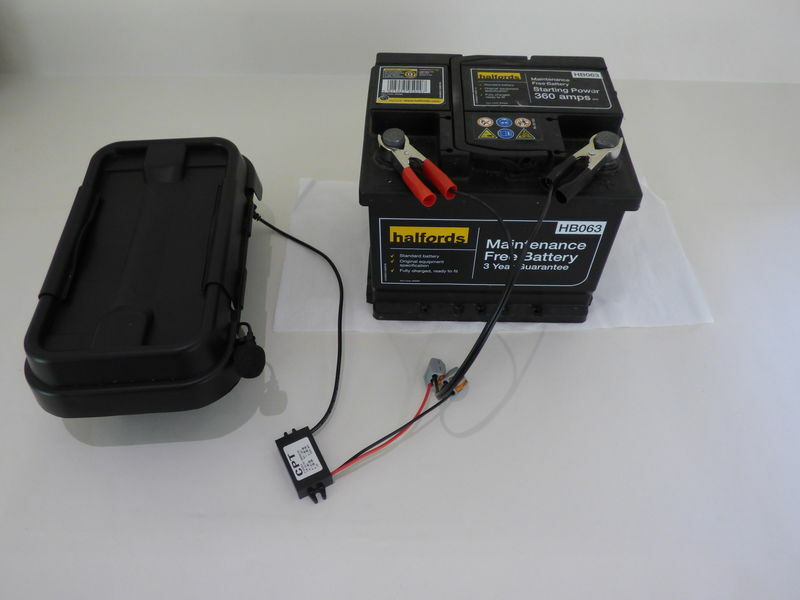 Please note that doing power calculations in order to work out how long a certain battery will last is frought with difficulties, as there are losses at every stage. Please be careful. Empirical evidence is the best thing (try it out). The theory says: work out the number of “watt-hours” in your battery by multiplying the battery’s voltage (in Volts) by the capacity of the battery (in amp-hours). The Solo consumes those watt-hours at a rate of 0.355 Watts. So divide the watt-hours (energy in battery) by the 0.355 Watts (the speed that the Solo uses that energy) to get the number of hours it will run for. 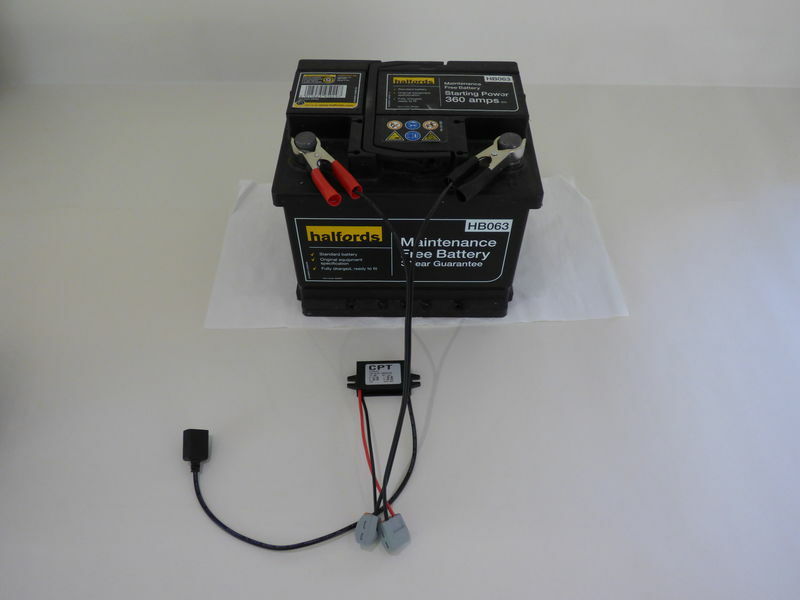 Ensure the solar charging unit has a diode so it doesn’t drain power away from the battery at night. Bigger solar panels will obviously refill the battery more quickly. At some point you’ll be filling faster than the Solo is consuming. Be sure to not over charge the battery (use a charge controller) for larger solar panels. 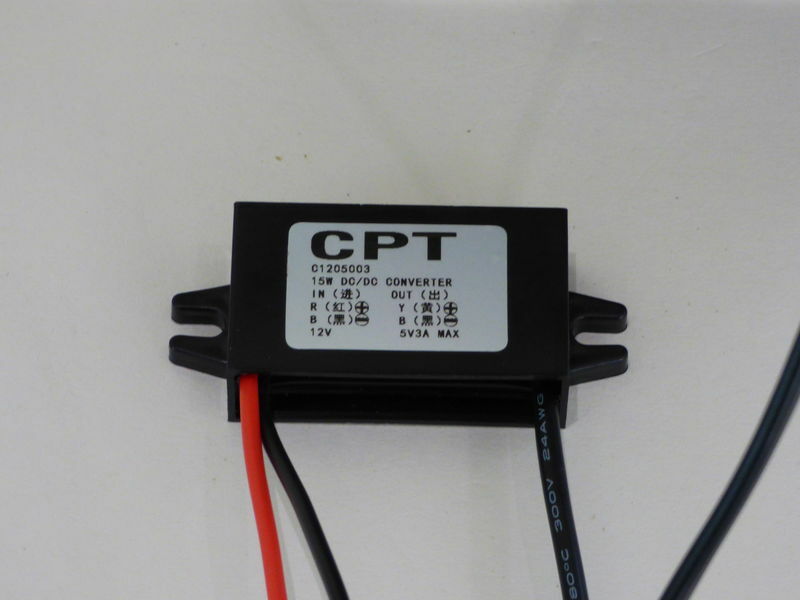 Ensure the 12V-5V DC-DC converter can handle the over-voltage that the solar charger applies to the battery (all in-car/auto converters should handle this). I don’t know what I’m talking about. So be careful, and consult an expert (not me). Here’s a video about how (not) to do it. A good place to look for such things might be boat/yacht/RV/caravan shops. Nothing. The sample rate, mono/stereo and memory card size do NOT affect the power consumption of the Solo. So … nothing. It’s 0.35 Watts, regardless. I tried that - it causes interference with the ADC resulting in a buzz on the recordings. This is probably due to its proximity to the Cirrus Logic Audio Card, but I haven’t investigated further. We will work in Watts and watt-hours throughout. The EC technology battery contains: 22,300mAh @ 3.7V = (through power = voltage * current) = 82.5 Wh (watt-hours) of energy. The Solo consumes this a a rate of 0.35W. So this battery should theoretically last (82.5 Wh / 0.35W) = 235 hours (9.8 days). However in practice we get 5.5 days from these battery banks. I expect this is due to conversion losses as we move between voltages. The conclusion is that the EC tech battery lasts between 5 and 6 days.